A smoothie is basically a blended fruit drink. The best-tasting smoothies are made from fruit that is fresh or frozen, and not canned. All smoothies begin with a liquid base. This can be orange juice, milk or another liquid. 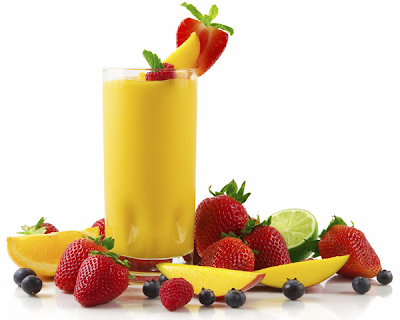 You can make a frostier drink by freezing fresh fruit before making a smoothie. Smoothies are best when they're fresh out of the blender, but they can be frozen the night before, as well – just remove the smoothie from the freezer about an hour before drinking. You can replace a meal with a smoothie or shake by adding a scoop of high-quality protein powder and a tbsp. of high-quality olive or flax oil. Thanks a lot for My lovely friend Sifa (Langit Malam) for this award. Because this is my first award. Many believe the mother of French fries can be part of good diet and balanced. In fact, anything you choose, no problem. Because potatoes are eaten with the skin make vitamin C Feed, and one of the best sources of fiber and potasium. Meanwhile, the chef trying to find better ways to make potatoes, good oil to use with the "healthy" or without fried. This is the trick fry potatoes, that can be enjoyed without the worry of fat hikes after that. Buy frozen potatoes. Several companies now produce frozen potato with materials that have been tested first, and their fat, good for the body. Look for frozen potato products that kalorinya no more than 120 grams. For info, 3 oz in each dish are 3.5 grams of fat. Stock fried potatoes. Dish of potatoes fried with a new way of processing, which is first boiled and then fried before given the wind, can be an option. 3 oz Each dish contains about 180 calories, 6 grams fat, 1 gram of fat and saturated. Rainbow potatoes (for 4 portions) 5 potato slices fruit 1 cm long. Rendam potatoes in cold water for 45 minutes. Then, cut 1 medium sized sweet potato lengthwise, as much as 1 cm. Hot oven to 200 degrees Celsius. potatoes are soaked, Mix with the sliced sweet potatoes, 3 tbsp olive oil, salt, and pepper. Horizontal row in the brass. Rooms up to 40 minutes, back, and roast again until the potatoes so the color brown. A lot of people are interested in making the most of their hardware. With that, here are 5 simple tips on how to make your Windows Operating System run faster without having to purchase additional hardware. Disk fragmentation is one of the cause for computer's slow performance. When files are fragmented, it leaves gaps here and there and the computer must search the hard disk when the file is opened to link it back together. By running the Disk Defragmenter it will speed up the response time. Your hard disk will develop bad sectors over time. It will slow down the hard disk performance and sometimes make data writing difficult or even impossible. 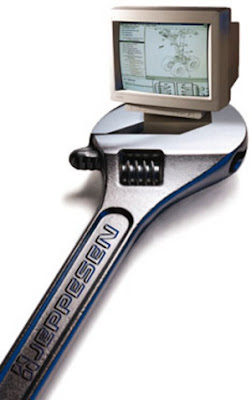 To detect and fix disk errors, there's a tool called the Error Checking utility. What it does is that It will scan the hard disk for bad sectors and system errors and then repair them, rsulting in faster performance. Indexing Services is a small application, but uses a lot of CPU. By indexing and updating lists of all the files on the computer, it helps you to do a search for something faster as it scans the index list. But if you know where your files are, you can disable this system service. It won't do any harm to you machine, whether you search often or not very often. Fonts, especially TrueType fonts, use quite a bit of system resources. For optimal performance, limit your fonts down to just those that you need to use on a daily basis and fonts that applications may require. Over time, the Windows registry becomes bloated with invalid and corrupted entries. These invalid entries remains due to the uninstallation of software that leaves a trace. By not having a clean registry it will slow down your computer significantly. By using an advanced registry cleaner it will repair and remove those invalid and corrupted entries. We recommend Registry Easy as it's the best one on the market.